Dungeon crawlers are nothing new. 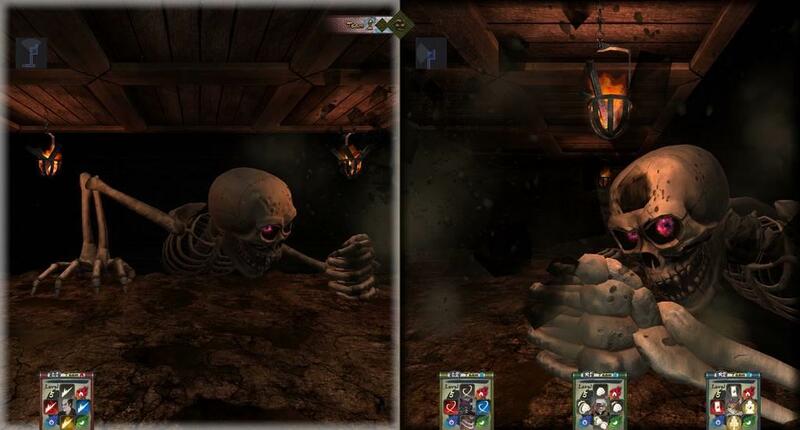 Even tile-based dungeon crawlers, such as Hyakki Castle, have been around for a good long while (see Legend of Grimrock, which is the obvious connection for everyone but that I would be remiss not to mention anyway). In fact, the two are so conceptually similar that it’s difficult to extricate them from each other. In this game of crawling and killing and solving and looting, Hyakki Castle doesn’t quite bring any refreshing new take on the genre as a whole—which was a little disappointing—but rather a refreshing change in setting and premise. 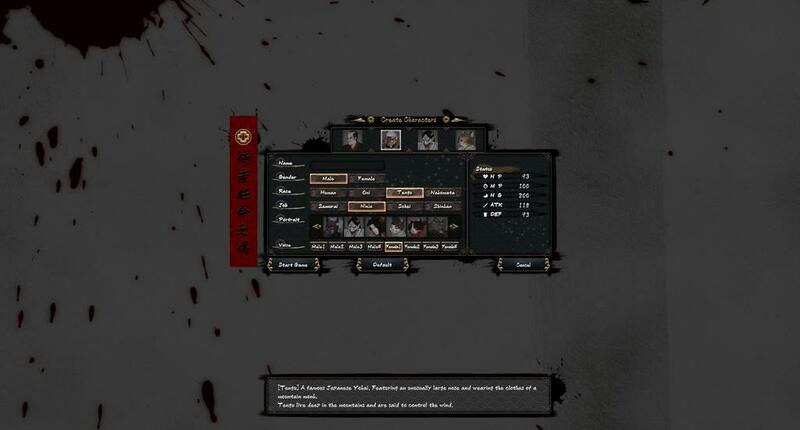 Rather than any generic Western dungeon, you find yourself in 18th century Edo Japan, controlling a team of four supernatural specialists exploring a castle. This isn’t a normal castle; this Burrow-esque structure popped up out of nowhere on an island of exiled prisoners, prompted by the delayed activation of some sort of curse. The prison guards have vanished. 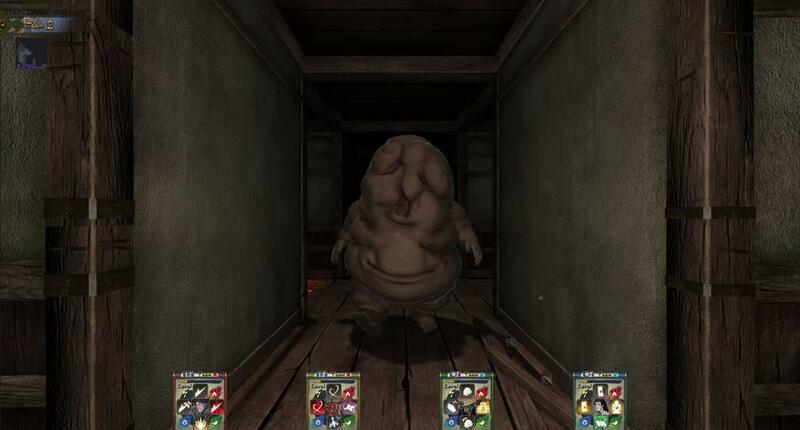 Yokai roam the halls. All of Japan’s hopes rest on you. It’s a rich premise, right? It has a lot of great potential. Thing is, very little of that story actually matters when looked at in comparison with actual gameplay. The lore-heavy introduction is basically the only place in the game that any lore shines through; the rest is just exploring dungeons and slashing monsters, your only objective on each level to collect some keys and find the next level. Yes, it is very decidedly Japanese—which I personally find very refreshing given the oversaturation of Western games in the market today—and the lore does make clear that this is very decidedly Japanese, but past that the connections between introduction and gameplay end. If you changed the monsters and tweaked a few design details, you could easily cut and paste a different introduction scene with no impediment to gameplay. The cutscene was so interesting and framed such cool possibilities; it pained me to see that its potential was so sorely underused, and I wished they had woven the narrative more into the whole game. So it seems like the intro is only there to justify the setting and the types of monsters. We’ve gotten that far. But the monsters themselves, unlike the intro that justifies them, are great. They sold the game for me. Their movements and fighting were predictable, and their one-shot moves were ridiculously unfair (more on that later), but I’m a sucker for creative monsters, and I’ve never seen yokai in a game before. I’ve gotten bored of stereotypical Western zombies and tattered skeletons that think they’re being original; this game provides insight into a whole other culture with whole other monsters that, while obviously having existed for a long time, seems new to the gaming sphere because of the backlog of Western games. And listen, I know I’m a wimp in general, but these things looked creepy. Good creepy. It’s not a horror game, but I still found myself jumping and shrieking when one managed to sneak up on me. You would too, if you turned around and found yourself two inches from a faceless flesh monster or a small child’s torso embedded in a hulking headless body (and yes, the headless body has a face of its own as well; it’s just in its chest). Of course, being monsters, they want to kill you. Surprise surprise. Fighting ensues. 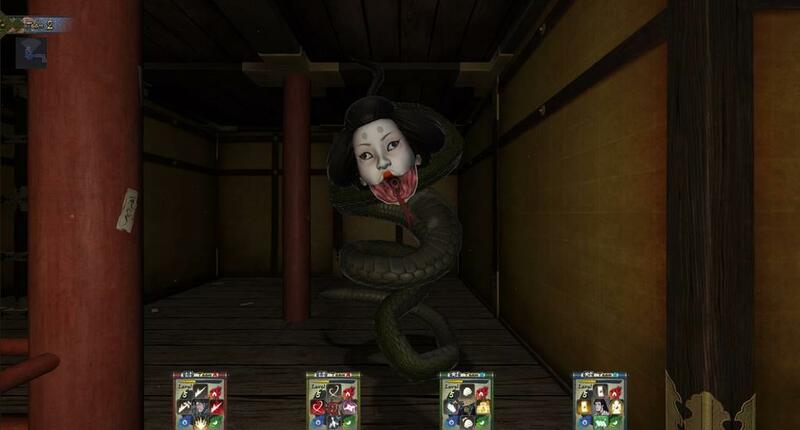 While the yokai look awesome, their fighting is less than awesome. Each one has about two moves, one that will hurt you and then one that will absolutely annihilate you in a single shot. Remember the fact that you actually play four people? Yeah, it’ll knock out two to three of them at once—if you’re lucky. You can’t revive them until you get to the Kekkai Point (a save point and healing well) at the beginning of each level except the first. To a point they’re simple to avoid, because literally all you have to do is move a single tile to the side and they won’t follow you if you’re quick enough, but as soon as you accidentally hit the “turn left” key instead of the “sidestep left” key, you’re screwed. The overall movement is also at odds with the combat. It seems much more like movement that you’d see in a turn-by-turn game instead of a real-time dungeon crawler. You can only move one tile at a time, and can’t turn at the same time you step. This halting movement makes it difficult in combat, because once you move you’re locked in until you finish that movement—and god forbid a yokai starts to attack while you’re doing something other than moving away. The amount of times I lost twenty minutes of progress because of ONE misplaced click is appalling—and in the grand scheme of things, twenty minutes doesn’t seem like a lot, but it’s definitely a lot when you spend it clicking step by step through a bunch of hallways that are arranged differently but look the same. Going back to that whole “you play four people” thing, I have a few things to say. I know it’s common for dungeon crawlers (again, Legend of Grimrock) and that’s fine. 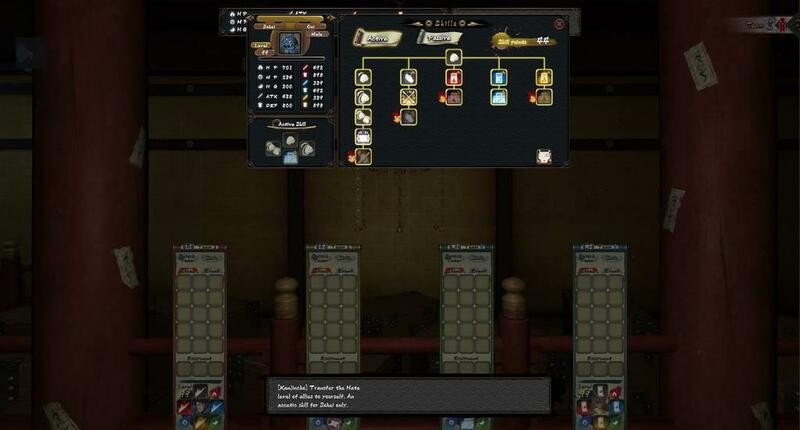 However, a big part of Hyakki Castle is party-splitting, which is primarily done to solve puzzles—and, apparently, to fight. I actually found it incredibly difficult to split the party mid-fight, because then I had to keep switching controls while also trying to time the yokai’s attacks, and it seemed overall pointless. And also, while it’s definitely a cool idea, there was something weird about only being able to split into 2 teams, even though you have four people (but I hesitate to condemn that, because being able to split into 4 teams would have been absolute chaos and I’m very glad they didn’t do that). It’s especially odd during boss battles. I constantly felt like the game expected me to split my party, but especially with the first boss—a giant skeleton named Gasha Dokuro—I never really felt like I needed to. The nature of the necessary dodging meant that it would have been way harder to survive controlling two teams of two, at least for me. And it might be finicky, but while he looked super cool during the fighting—as all the yokai do—his death fell flat. There was a lot of waiting for MP (Magic Points? Mana Points? I was never told) to regenerate before I could hit him again, a time which I spent sidestepping and dodging. There was a lot of waiting and buildup, and then he just…fell. Similarly to most other bosses in the game, he just kinda died, and that was just kinda that. The dramatic side of me wishes that they’d made a bigger deal out of it, especially with the harder bosses. Finally, let’s get into options. The very first thing I noticed was that there was no tutorial, and no tip menu. I had to get a feel for the game by blundering through it and switching to the Controls menu every three seconds. I got that down soon enough, though not without a fair bit of frustration, but then came the first time that one of my characters died. I had no idea how to revive her, nor did any tooltip pop up to inform me. It took about half an hour of Google-searching to see if there was an item I was missing before I found out that I had to go to a Kekkai Point—none of which I’d even seen yet, because I was still on the first floor. And yeah, go ahead and laugh about me dying on the first level. I deserve it. Ultimately, I liked playing the game. 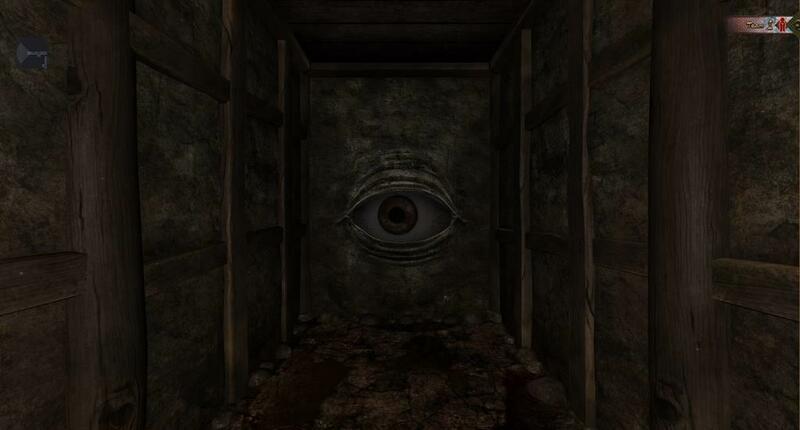 I know I harped on and on about its flaws, but despite its many frustrations I did enjoy being startled by the creative takes on these yokai, and even though I found myself often bored by the repetitive structures there was always a little twist around the corner that made it better. It could have done with more unique touches, but even as it stands Hyakki Castle is a cool take on the same dungeon-crawling genre from a different culture. 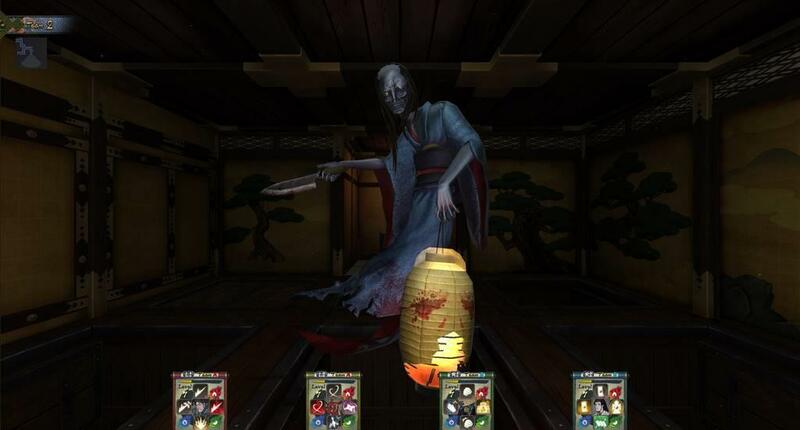 Hyakki Castle probably wouldn’t be great for newbies to the dungeon-crawling scene, but if you already know you like the movement and combat system then it’s definitely something to try. It has its mechanical issues, and requires a lot of fiddling to figure out at first, but is executed creatively and diversely enough to still be engaging. It just needs a little extra touch to become the beacon that it wants to be.